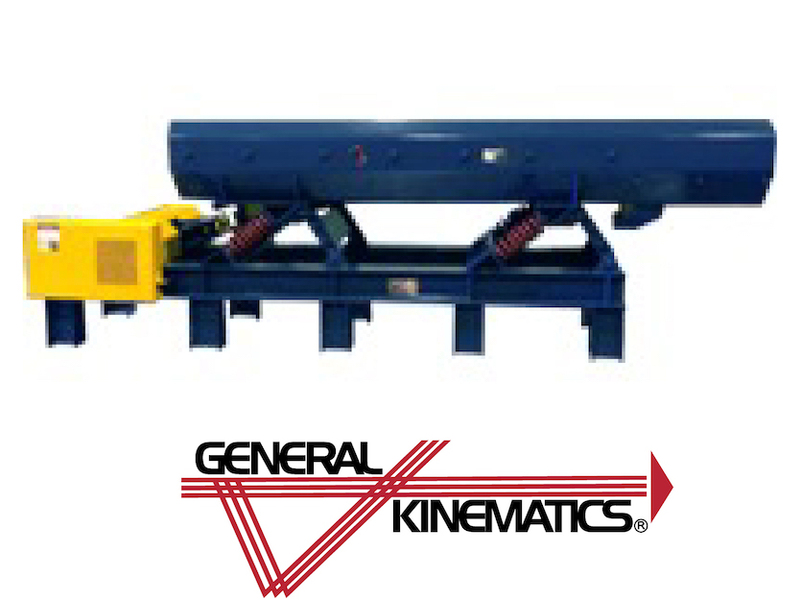 Available with GK’s standard conveyor drive or with our patented Two-Way flat stroke drive. Noise suppressing decks keep surrounding areas quiet. Rubber deck linings can be included to prevent casting damage. 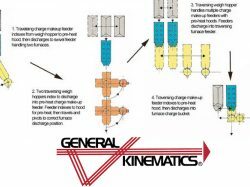 Bi-directional designs can change material flow depending on your process. 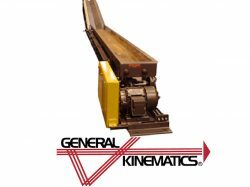 General Kinematics vibrating blast unload conveyors quietly and efficiently transfer castings post-blast. 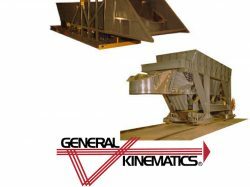 Utilizing GK’s proven vibratory conveyor drive technology, vibrating blast unload conveyors receive your cleaned castings from the blast machine and convey them away from the blast area for further processing. Conveyors are available with noise suppressing or rubberized decks to reduce noise and casting damage. 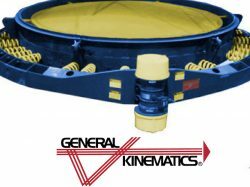 GK’s patented Two-Way feeder drive upgrade allows for completely horizontal conveying. This further reduces noise and is ideal for fragile castings. The Two-Way can also be automatically controlled to change direction of flow if there is a problem somewhere down the line.